We've seen a lot of open-source stuff out there — mostly software and hardware — but we've never seen an open-source eating utensil. As far as we know, the S.H.O.V.E.L. ($10) is the first of its kind. 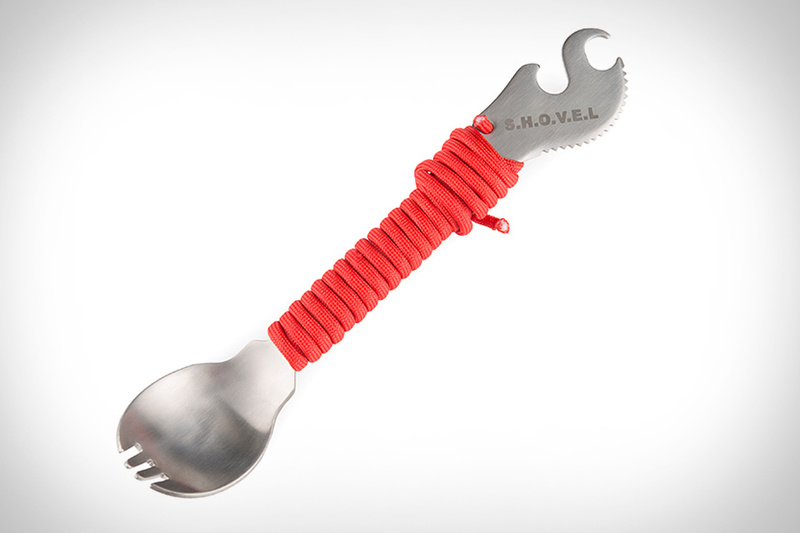 This spork is made from titanium, and includes your typical spoon and fork combo (call it a foon if you want), as well as a serrated edge for cutting and a bottle-cap opener, all wrapped in six feet of red paracord. 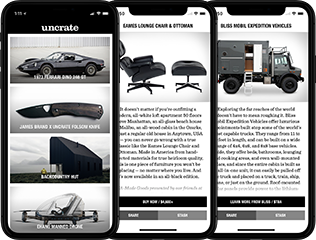 Download the specs and CAD files from their website — hack it, change it, build your own. It's open-source, after all. When you need to cut through some serious stuff, don't settle for anything less than the Fiskars Shop Boss Hardware Snip. The ideal tool for cutting aluminum siding, roof flashing, screens, light sheet metal, and wire, it features a serrated blade edge that holds onto any material you're cutting so you don't have to worry about slipping. The titanium blade coating resists corrosion, wear from heavy use, and scratching, while the asymmetrical, contoured handles are great for working with gloves and using either hand. Trying to maximize the versatility of your pocket contents while maintaining a slim profile can be challenging. Stat EDC Multitools ($70-$110) are here to help. Available in four different models, each tool offers the ability to cut, measure, and pry, while keeping a low profile and offering a hole at one end for attaching to a keychain to clip. Made from knife-grade stainless steel and finished with a military-grade anticorrosive ceramic coating, they're ready for any job you throw at them. Why buy a Master Lock when you can buy the lock they use as a basis for theirs? Commando Locks ($12-$20) use the same Interlock technology as Master — Commando invented it, after all — and are available in a variety of styles and sizes that should fit your needs. They're not 100% made in the USA, but they do try to use as much domestic manufacturing as they can, which goes a long way when a vast majority of locks on the market are imported from somewhere else.